It's a good idea to upgrade your betta fish's bowl to something bigger so that they have more swimming space. Also, your fish will not only appreciate more space to swim, but also to hide in the additional decorations you can then put into his or her new home. With more water, there is less cleaning for you to do, too. Clean water is one of the best things we can give to our little fishes for whom we are guardians. If you have a one-gallon container that your fishy lives in, for example, then you might want to consider upgrading to a two-gallon container first. It's a good idea to not overwhelm your fish with a much, much larger area to live in immediately. This is too much of a sudden change in dynamics in the water in which your fish must maneuver. Imagine yourself being a tiny little fish and you are accustomed to swimming up and down and around your little plant and shell and pebbles. You know every inch of your own area and have established that as your territory. Sure, you look outside and wonder if you could jump over to that lovely jug of water on the table or the big glass flower vase full of water and flowers or your neighbor fishes' large aquarium, but of course that's not safe. So, your little fish takes comfort in the familiarity of his first home. A bigger place has its healthy benefits for your little fish, so it's best to let him or her just get used to a new space that isn't too different from his original place. A gradual change and keeping the same decorations in the new container will help your fish adjust to the change and love the new digs you provide him with. 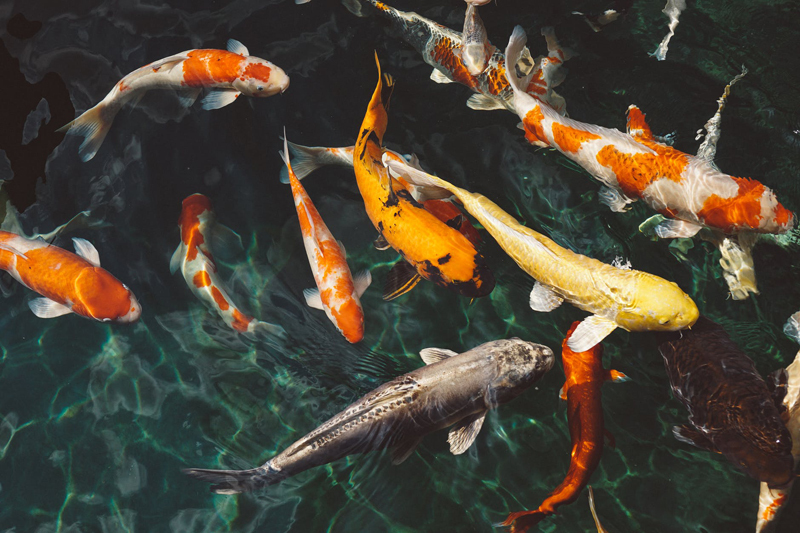 You will want to take into consideration the need for a larger water pump and heater if necessary and any other equipment installed in your fish's larger home. You could add a couple new decorations one at a time for your fish to get accustomed to and begin to love. Soon he will be loving his new home and happily going to the top for air and eating his food enthusiastically and surveying your world with satisfaction again as he realizes that he is still at home and being cared for lovingly by his family. Happy Fishes.